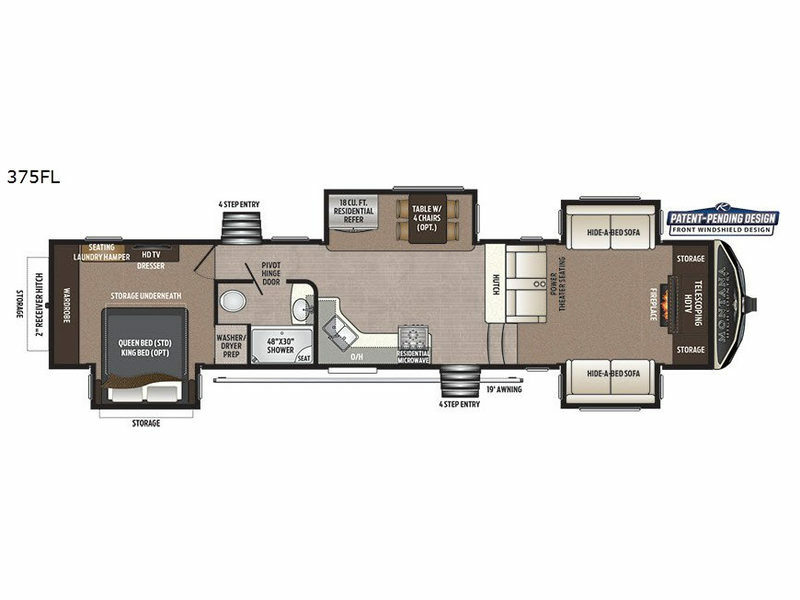 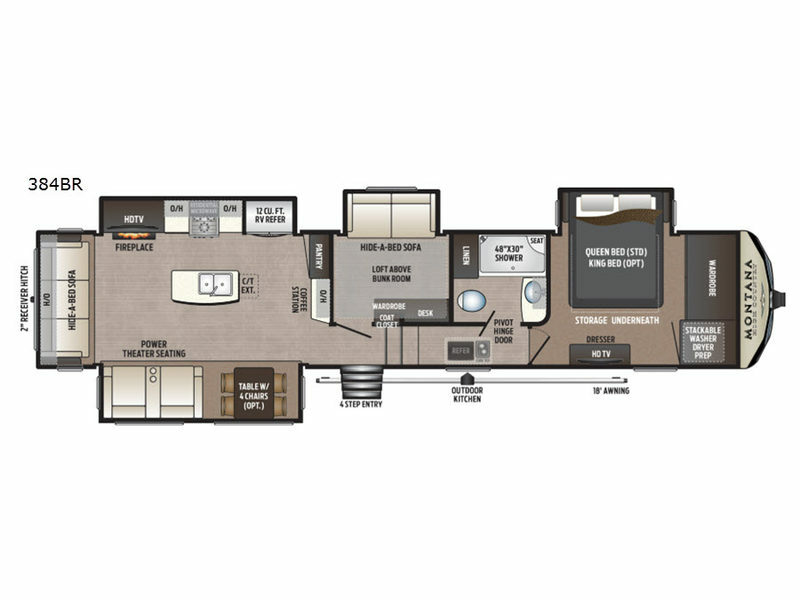 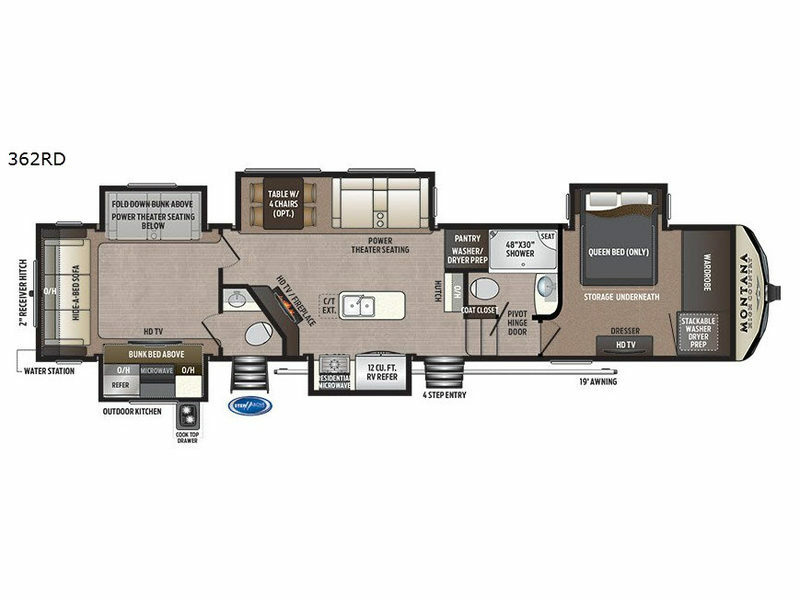 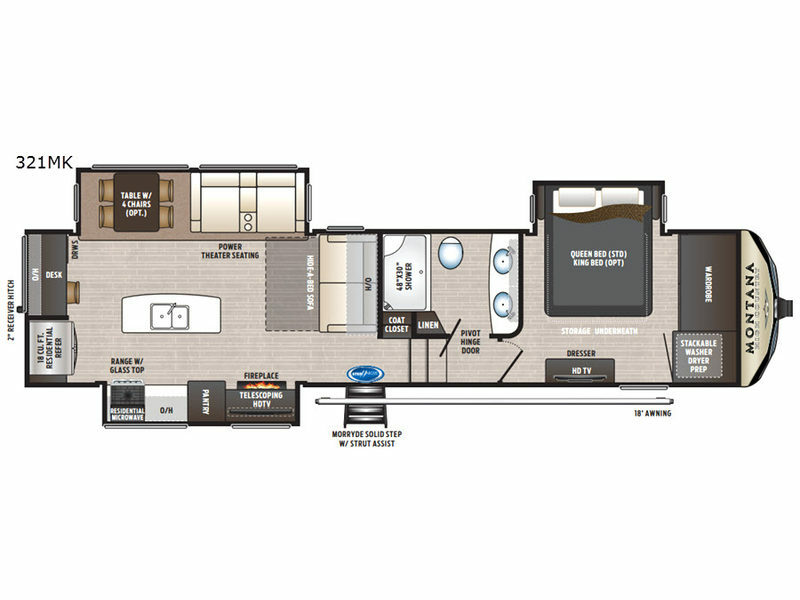 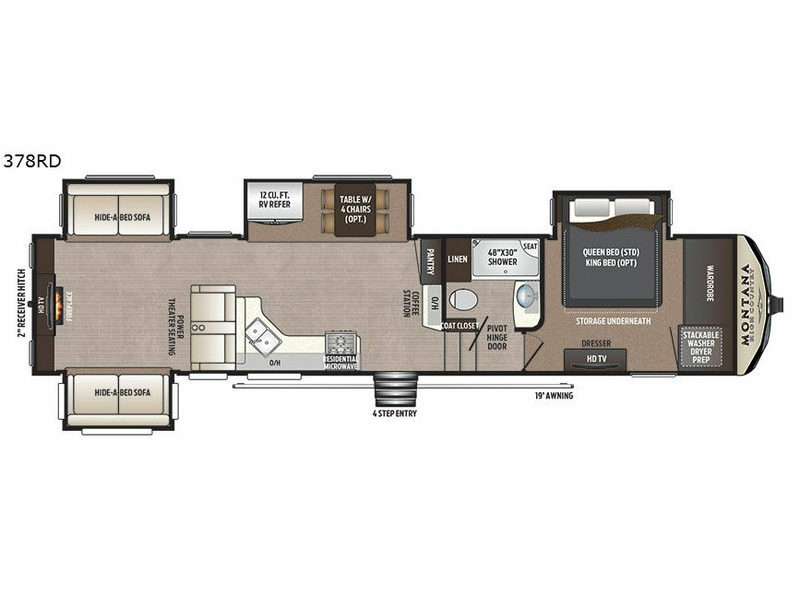 Want more luxury with less weight in a recreation fifth wheel and toy hauler fifth wheel? 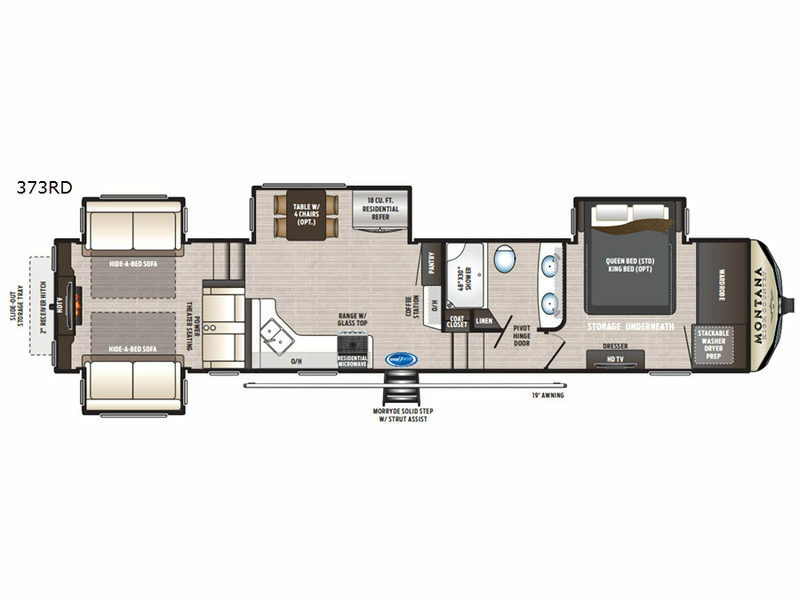 If so, check out the latest Montana High Country by Keystone. 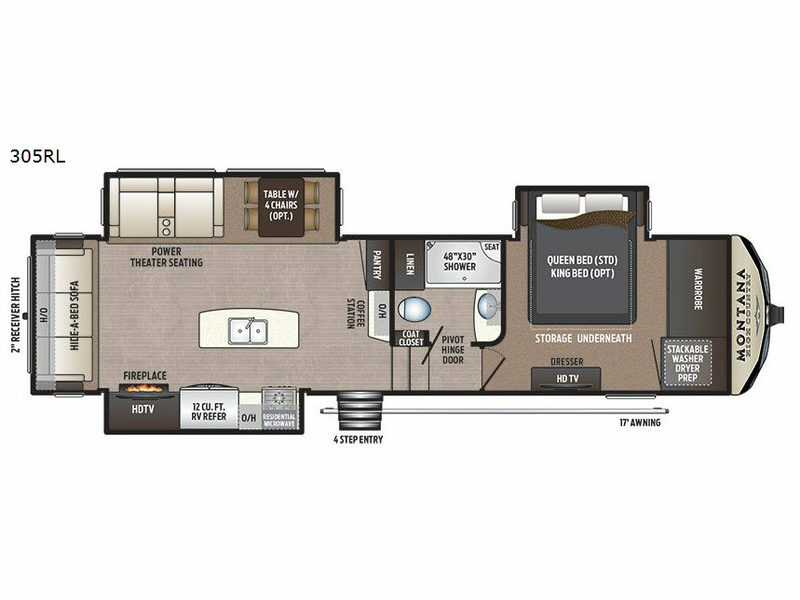 These luxury models use advanced materials and manufacturing technology to significantly reduce weight while maintaining comforts, reduce wear and tear on your tow vehicle, and improve fuel economy. 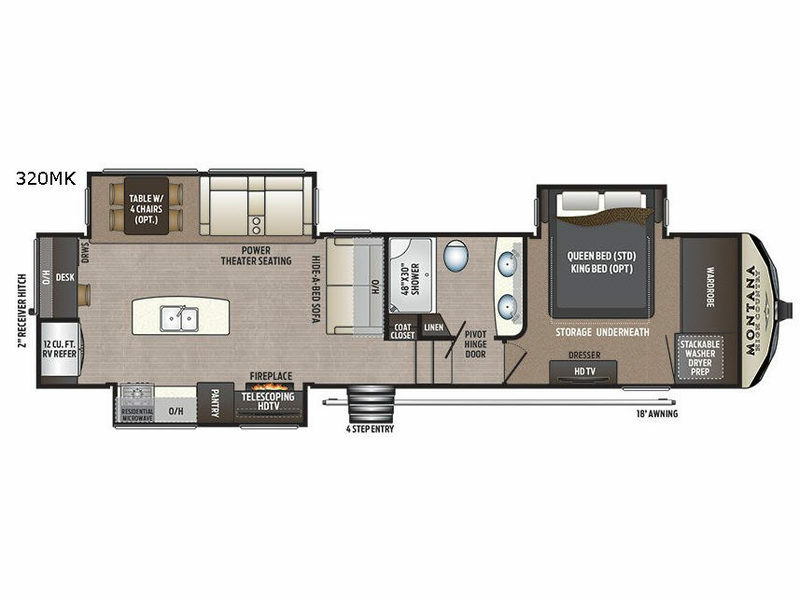 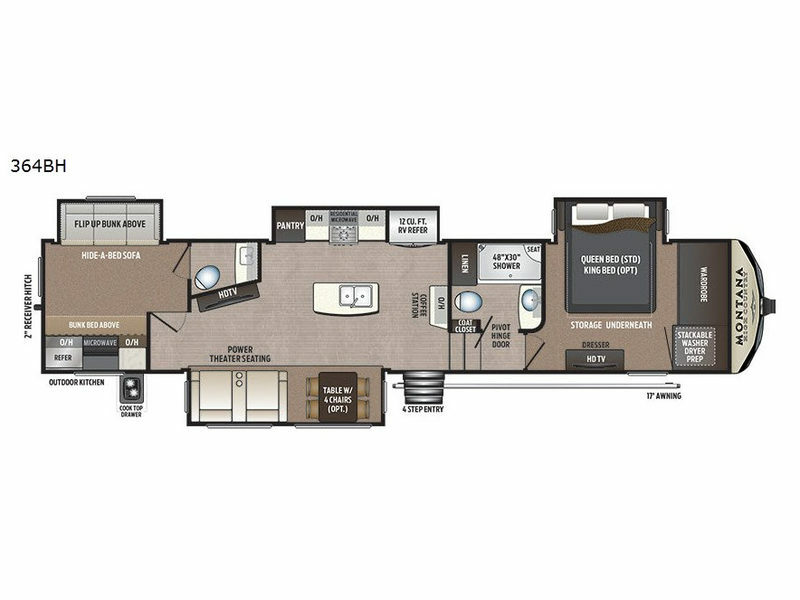 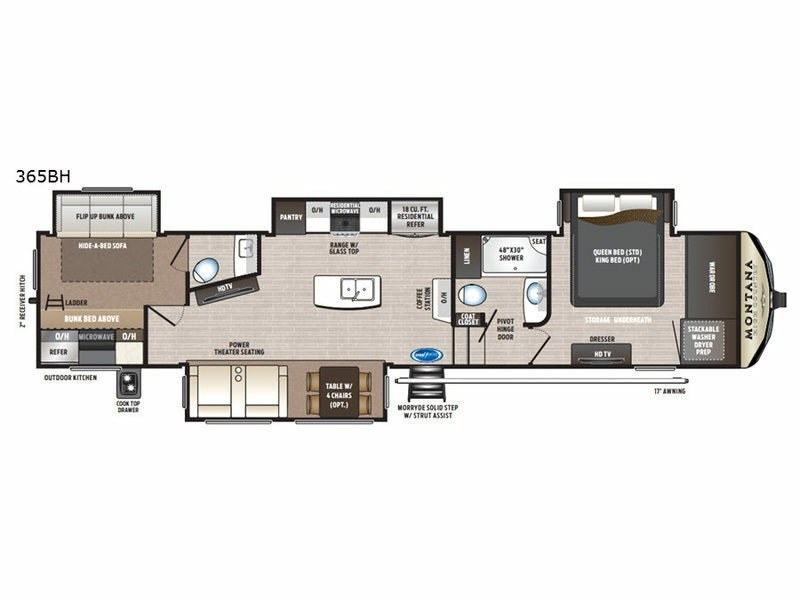 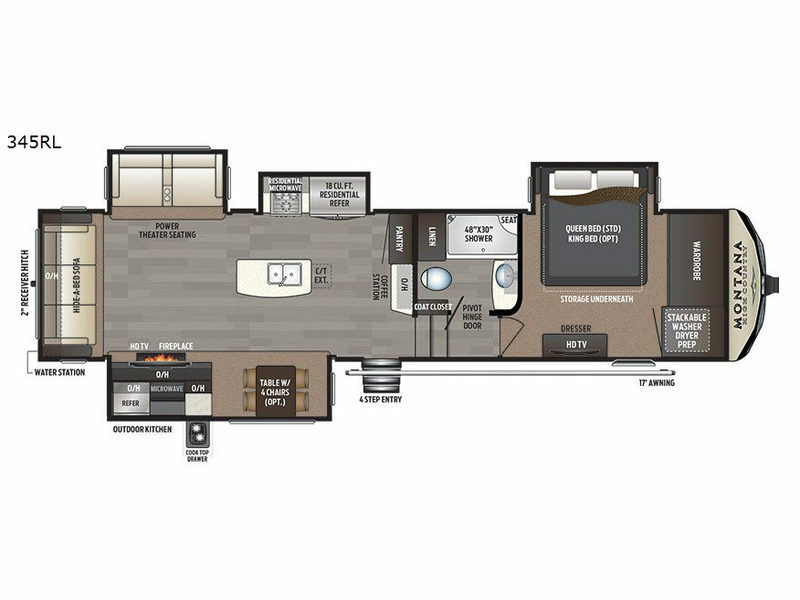 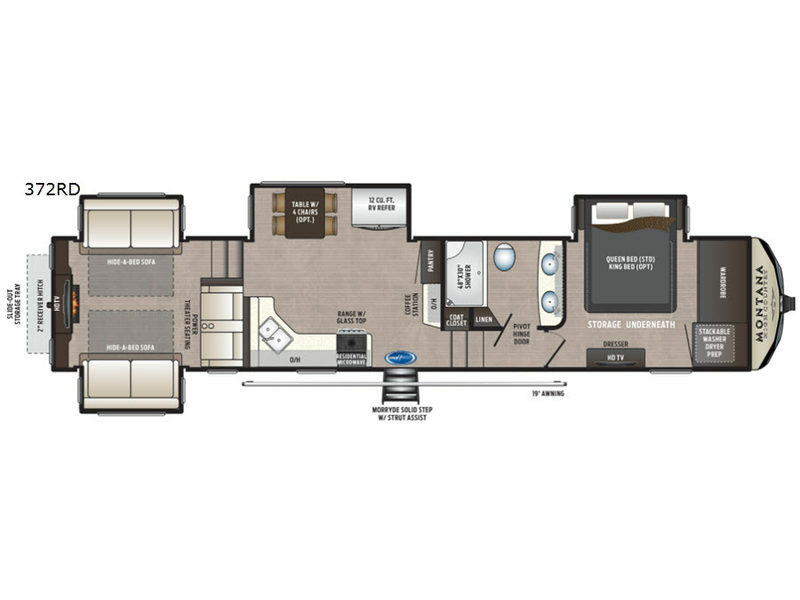 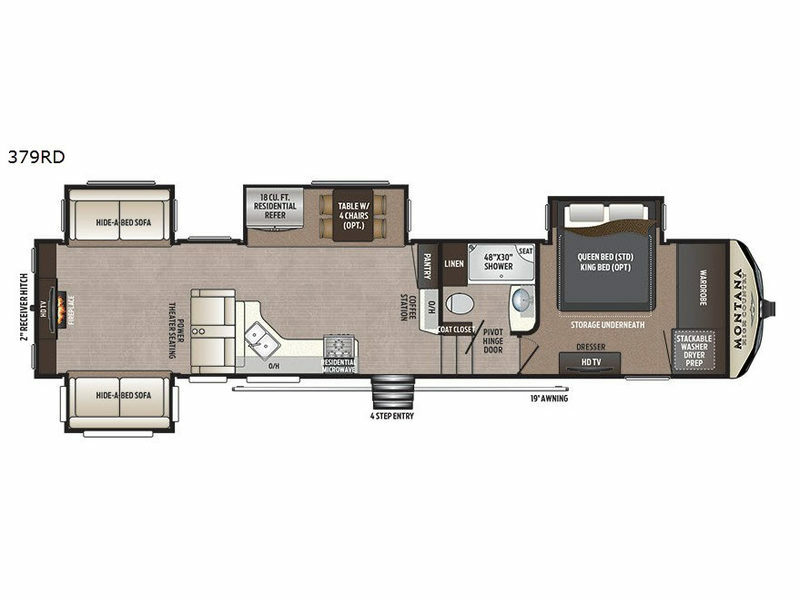 Choose from a variety of family friendly floorplans each featuring plenty of interior living space and ample storage for all of your gear. 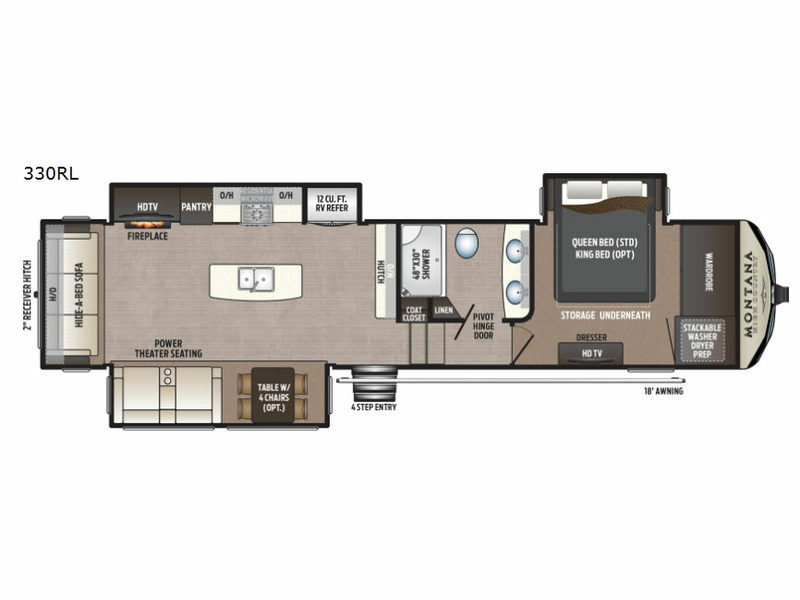 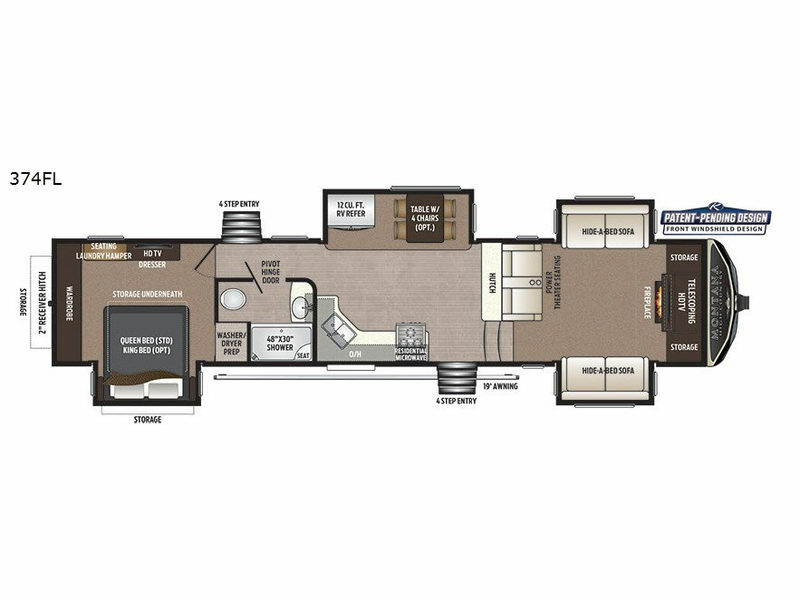 You will even find a couple of toy hauler models featuring a underbed storage garage large enough to take your favorite four wheeler along. 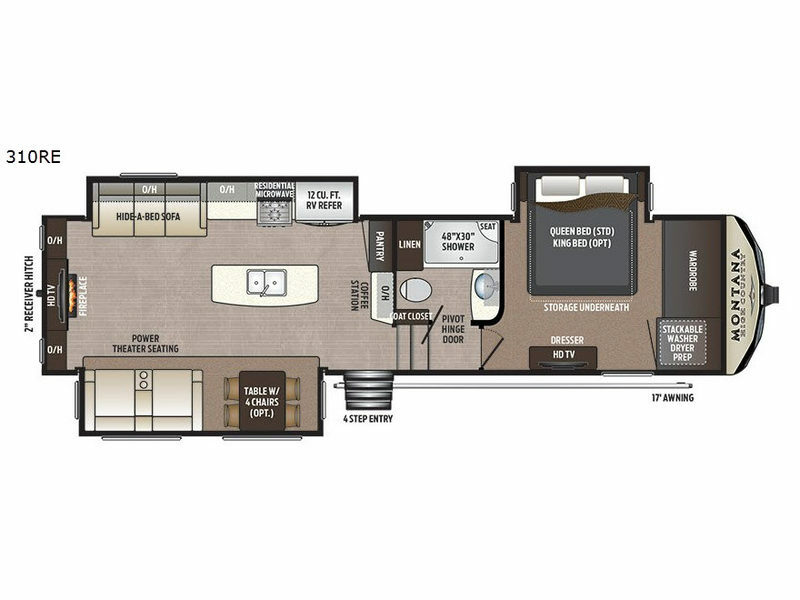 So, why not choose the light weight that's big on value and luxury, plus 3/4-ton towable, and take a Montana High Country fifth wheel or fifth wheel toy hauler by Keystone RV as your full-time or vacation RV!